The Voice of Southern Azerbaijan (VOSA), active since 1996 with broadcasts against Iran from an undisclosed transmitting location, is quickly becoming an intriguing story. A story that not only includes oil and politics, but also espionage, the Mossad, and players from the Iran-Contra scandal of the 1980's. Further evidence surfaced in April 1998 when a "mixing product" was observed between VOSA programs and KOL Israel transmissions. A "mixing product" is an extraneous signal that is produced when two transmissions are made in close physical proximity. This "product" has been heard on 21425 kHz. Wolfgang Bueschel states in DX Window 111 that at the same time VOSA is on the air between 1530 and 1630 UTC, KOL Israel transmits on 17535, 15650, and 11605 kHz. When the first KOL frequency is multiplied twice and then subtracted by the "product" frequency, VOSA frequency mathmetically appears: 13645 kHz. (DXW 111) Of all the evidence, this is clearly the most compelling. If this is the case, then VOSA is clearly supervised and arranged by Israel's intelligence agency: the Mossad. Both Kai Ludwig and this author made the connection after reports began to surface in late February 1998. But the story becomes more complicated and interesting. Vafa Culuzadeh, despite the quote above, is an adviser to the current Azeri president (Heydar Aliyev), and has been an important negotiator between Azerbaijan and Armenia, as well as between Armenia and secessionists from Nagorno-Karabakh. Retired Air Force Major General Richard Secord was also a key player during the Iran-Contra scandal. He earned his wings while flying for "Air America," the CIA covert paramilitary operation in Laos that supplied local Hmong tribes with arms and training to counter the Communist Laotian regime. He wrote a memoir, "Honored and Betrayed: Irangate, Covert Affairs, and the Secret War in Laos," in 1992 to detail his involvement with the CIA and service to the American government. He was one of the Iran-Contra players who set up the "Enterprise," the company outside of the CIA that earned money and lined the pockets for those involved. The involvement, if any, of the above three individuals with VOSA is unknown at the present time. It is interesting to note, however, that the address VOSA announces in Austria is addresses as "Vosa, Ltd." Both Secord and Kimche made money off of Iran-Contra arms sales. Could the organizers of VOSA also be making money? The address VOSA announces is: Vosa Ltd., Postfach 108, A-1193 Vienna, Austria, and the telephone number is: +31 307-192189. "David Kimche." ICT Board of Directors. "Iran: Religious and Ethnic Minorities." Human Rights Watch / Middle East. September 1997. 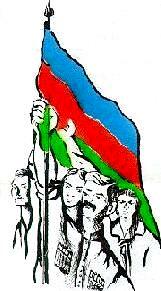 "Two Azerbaijan (North and South): A Common Past and a Common Future." Qurtulus Homepage. 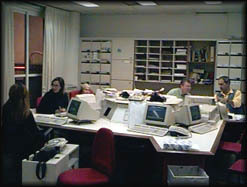 BCDX 351, March 1, 1998. Cumbre DX 180, March 5, 1998. DX Window 111, April 12, 1998. Ramezanzadeh, Abdollah. "Iran's Role as Mediator in the Nagorno-Karabakh Crisis." Contested Borders, Chapter VII. Schlein, Lisa. "Israeli Spies." VOA News. February 26, 1998.